Your garden is a living, breathing thing, and needs to be taken care of to keep it happy and healthy. Lawns need to be mowed, plants pruned, shrubs shawn, fruit picked, vegetables pulled, and trees tidied. All this takes time and having everything you need for your garden’s maintenance under one roof helps a lot. But you don’t want your shed falling apart after a storm the week you set it up. Your shed needs to be able to stand up to harsh Australian weather. In fact you want it to last the rest of your life. That’s why you need something tough, and Aussie made. For the weekend mower and avid horticulturalist alike. 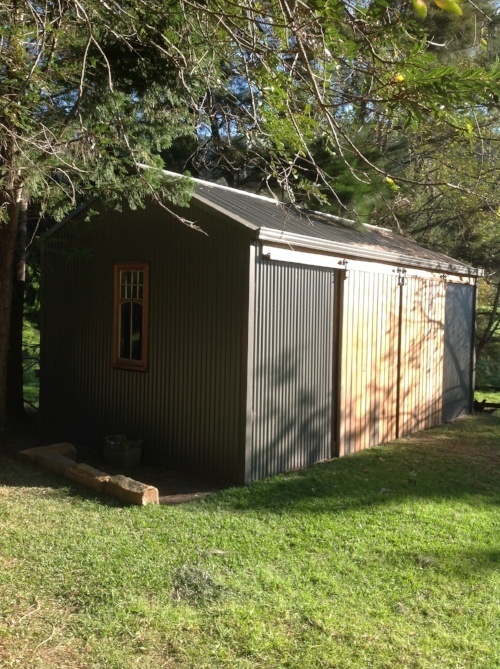 We can custom design your garden shed and deliver a shed kit to anywhere in Australia. If you happen to live in the Shoalhaven region then we can even build it for you too! We offer custom made garden sheds to put your lawn mower, whipper-snipper, chainsaw, hedge-trimmer, leaf blower, rake, shovel, spade, axe, soil, fertillizer, pots, seeds and everything else you need with room to spare for garden maintenance and a good looking yard. Have a look through our ultimate shed guide to find out what it means when you buy a Real Aussie Shed.